Double Disc Court demands excellent control of the disc, plus very good catching skills. DDC is played with 2 teams of 2 players. Each pair defends a box while aiming to land a disc in their opponent’s box. The boxes are 13m x 13m and 17m apart (use of smaller court size is advisable for beginners). 2 discs are thrown simultaneously back and forth and points are won and lost by landing the disc in the box, hitting the ground outside the box or one of the teams making contact with 2 discs at the same time. 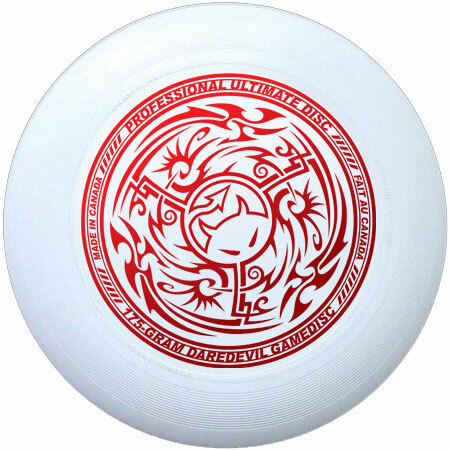 Use the 110g DDC Wham-O Frisbee Discs! These are the official discs for Double Disc Court. Special 2 packs available in the online shop. Play begins with a ‘throw off’, with both teams standing in their box with a disc. A non-throwing player calls “ready? two, one, throw!” The discs are released simultaneously on the word ‘throw’. Both teams aim to catch penetrating discs from the other team and then throw it back. A player is not allowed to walk with a disc and must play from where the disc was caught. If a disc is caught outside their box, it is brought into play again from the spot where it left the field of play. Any points scored are allocated and then play resumes with a new ‘throw off’. Each team must take it in turns to serve and the team that scored the last point gives the call for the next service. A game is typically played over 1 or 3 sets of 15 points. 1 point goes to the throwing team when a disc lands, and comes to rest, inside their opponent’s box. 1 point goes to the receiving team when an incoming disc either; a) lands outside their box, or b) lands inside their box, then rolls or bounces out. 2 points go to the throwing team when the opposition are in contact with both discs simultaneously during play. This is called a ‘double’. 2 points are awarded if one team misses the box as the other team lands their disc in their opponent’s box, (as long as the second disc is thrown before the first disc hits the ground). 0 points are awarded when the discs, thrown by different teams, both land in the box, or miss the box. This is called a ‘break’. An opportunity to score a ‘double’ can be set up by throwing a slow curving hover to delay the opponent’s return throw. This would then be followed by fast direct throw to go for the double. 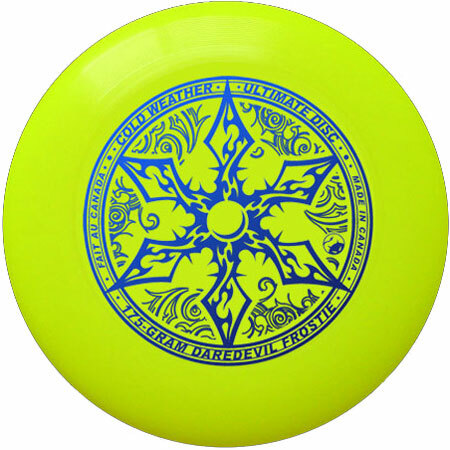 A player may tip an incoming disc upward before catching it. This is a handy skill for avoiding a ‘double’ if two discs are approaching at the same time. Players can defend their box by going side by side or front and back. Above all, good communication is the key for effective teamwork. 3 can play on each team, with larger boxes. For beginners suspend the rule: if a disc that lands inside the box, but then rolls or bounces out means it’s ‘out’. Take a look at the WFDF DDC info sheet for more info.